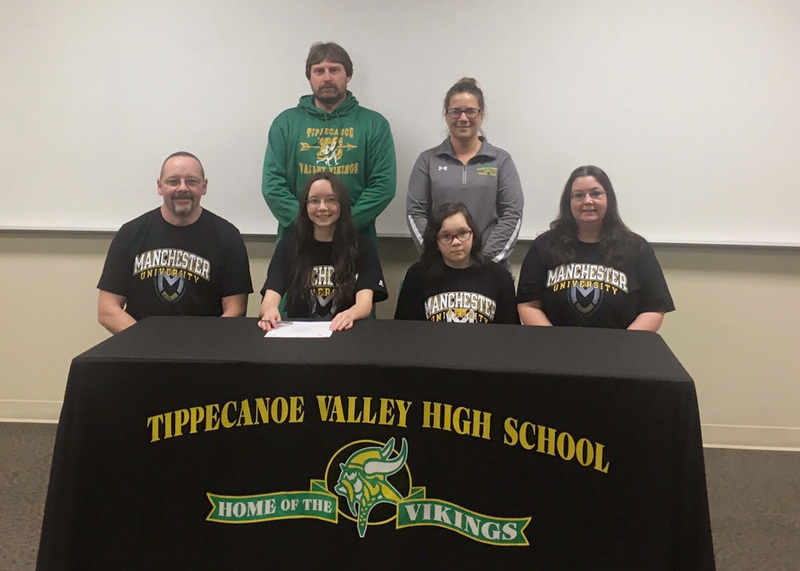 AKRON – Tippecanoe Valley senior Haley Hoover won’t have too much of a change of scenery when she takes her running game to the next level. Hoover signed Monday to continue her running and academic careers at Manchester University. A four-year participant in both track and cross country, Hoover made the ascent into the top seven for Valley’s cross country program, and concluded her senior season at the regional level. Hoover placed ninth among non-teamed individuals at the Culver Academy Cross Country Sectional with a time of 24:13, then ran 82nd overall with a time of 25:02 in the Culver Academy Regional a week later. She was also 26th in the Three Rivers Conference meet, running a 23:16 on her home course. As a junior in track, Hoover helped Valley’s 4×800 relay team to a sixth-place finish at 11:45.74 at the Rochester Sectional. Hoover also competed in wrestling for the Vikings, working in the 106-pound class. Hoover finished eighth at the TRC and fifth in the sectional this past season. Brian Cashdollar is the head coach for both the Spartan track and cross country programs. Manchester competes in the Heartland Collegiate Athletic Conference as a NCAA Division III institution.